We also know that finding the right gift tags for the holidays can be a stressor, so we’ve created a free downloadable for you to print at home, and use on your gifts! Made by us, just for you! Be sure to scroll down to find the download link. 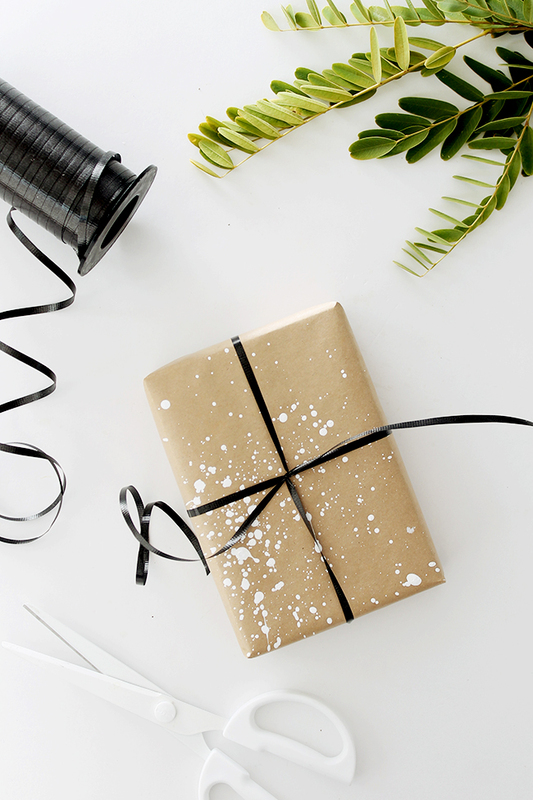 While this look is stunning, it actually makes gift wrapping really simple! Use crisp white paper and a variety of ribbons to style. Choosing a specific color for a specific person, could be a fun idea as well! We love that each gift is topped off with natural greenery and a momento. Thoughtful, and still chic! Perhaps the ribbon could coordinate with their personality or something unique about them? It’s personalized, but still very stylish, and we definitely dig it. These pretty packages really embrace the layered look! Incorporating greenery in these too, they have a vastly different look to the Merry & Bright packages we shared above. 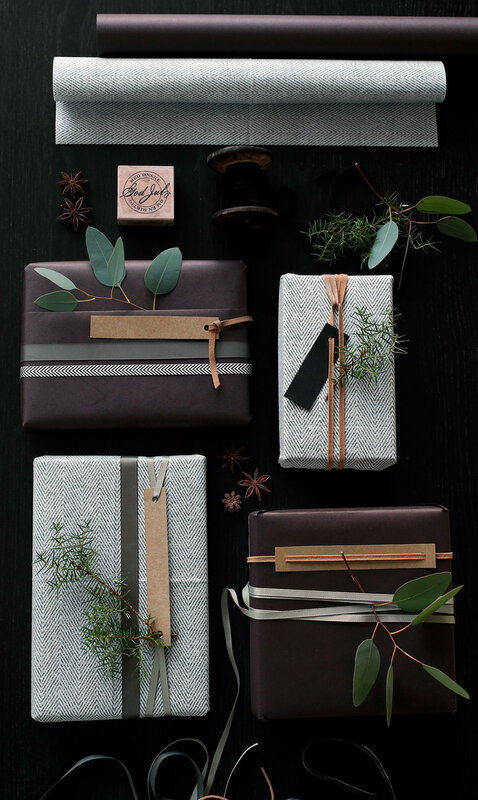 Using leather, ribbon, craft paper and washi-tape, these packages are really something special. We love these for husbands, dads, or the resident “moody-neutral lover” in your life. If your style includes getting your hands dirty and conquering the latest and greatest DIY, then this is a great one! It could also be a fun activity to involve your kids with. What aunt/uncle/grandparent or parent wouldn’t love custom wrapping paper created by their little loved one? Just prepare yourself, it could get messy! 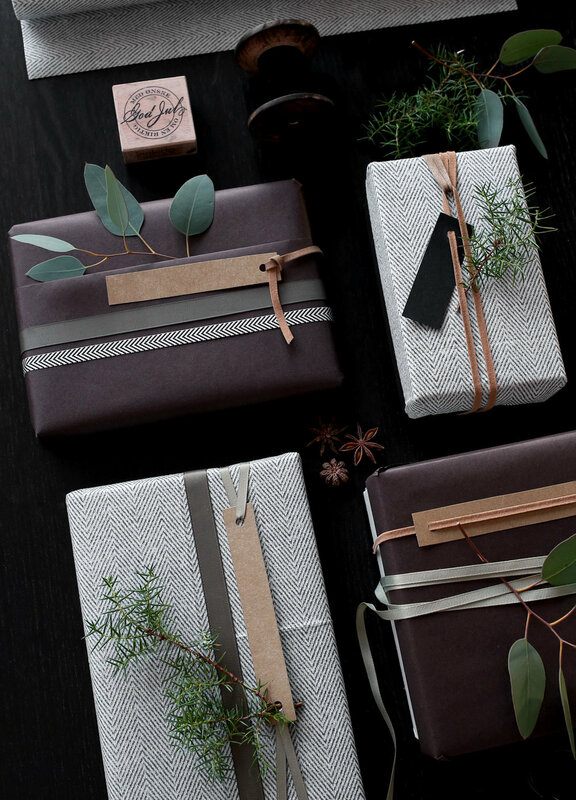 Being neutral lovers ourselves, we love what Molly from Almost Makes Perfect created to use as christmas wrapping inspo. So, with all of these great holiday looks - do you have a wrapping plan this year? We’d love to hear what your christmas palette is like! 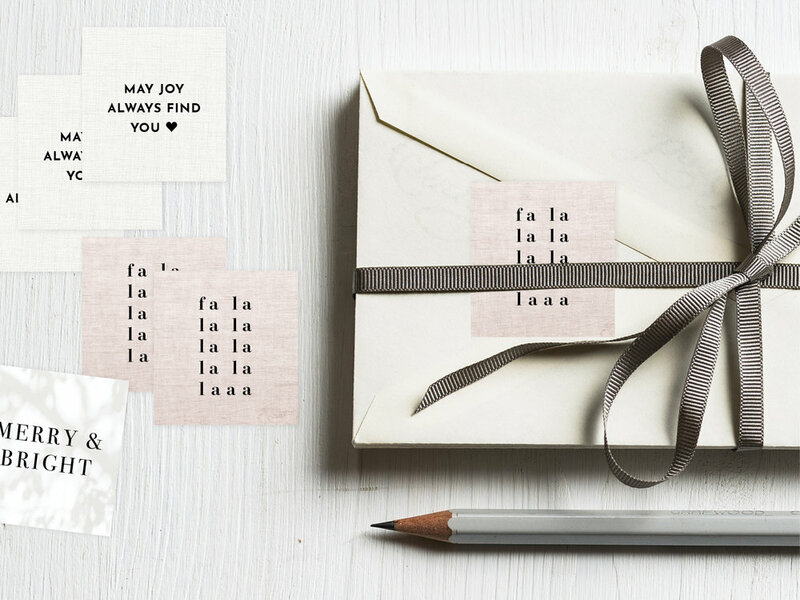 And, just to help you a little along the way, we’ve created some custom gift tags for you to use as you wrap your gifts! Consider this a tiny Christmas gift, from us to you! 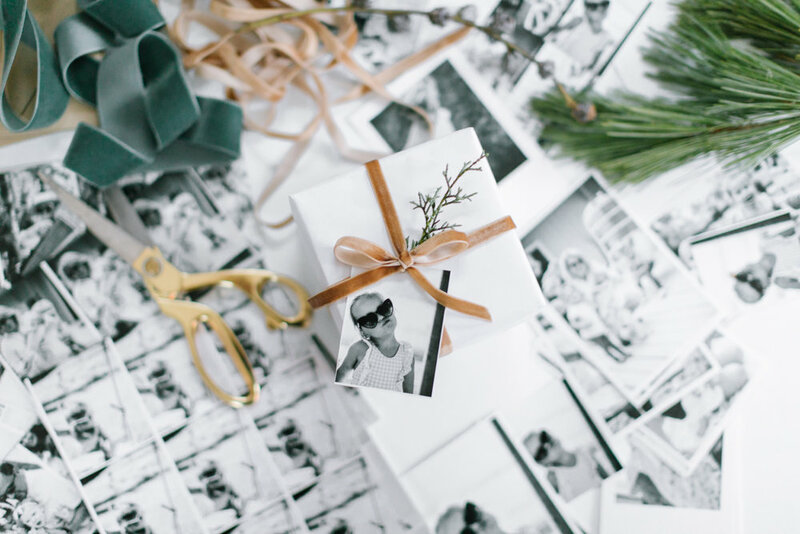 Our recommendation for use, is to print them on photo paper, or a thicker stock, cut them out, and tuck them behind some ribbon or twine of your choice. If you have a hole punch, you can use that too - but even if you don’t - these also look pretty chic attached with some washi tape. If you use the gift tags, we’d love to see how you did it! Message us here, or on Facebook and Instagram and let us know! CLICK HERE to get our gift tags!